MasterChef Australia returns with the best group of home cooks the competition has ever seen. In the first episode, our potential contestants are given one hour to cook their best dish and secure their spot in the top 24. Just 10 aprons remain for the 18 remaining aspiring home cooks.The contestants are put through their paces in a core skills invention test, then, contestants must recreate George Calombaris' superb lemon lime and bitters dessert. The top 24 contestants enter the MasterChef Australia kitchen for the very first time. First up tonight, the contestants face the classic mystery box challenge, but there's a surprise in store. In tonight's elimination episode, 21 contestants face elimination for the first time with a three-round challenge. The contestants are given just 30 minutes to cook a perfect Chinese fried rice. Who will be the first contestant to go? The 21 contestants enter the kitchen to find a mystery box at their bench. They have one hour to cook a dish using at least one of the ingredients. The three contestants with the least impressive dishes from the invention test face off in the pressure test. They are given the challenge of re-creating guest chef Shannon Bennett's fillet of beef with a bone marrow crust. In the season's first off-site challenge, the contestants split into two teams for a lunch service challenge at two popular St Kilda restaurants. The team with the most money in the till at the end of the challenge wins. The losing team from last night's challenge are all facing elimination and have to plan three dishes from one snapper. In an unexpected twist, one contestant takes the biggest risk in the history of MasterChef Australia. Will it pay off? In a special episode, the queen of the Australian kitchen, Maggie Beer, returns to the kitchen for the Mystery Box challenge. Who will impress the judges in the challenge? The bottom three contestants from the Invention Test face off in the Pressure Test. Who will be hanging up their apron and leaving the MasterChef kitchen for the last time? The three best performing contestants in the Invention Test get to compete for immunity. Competing against chefs Ollie Gould and Kylie Kwong, who has what it takes to win the immunity? In this challenge it's all about strategy, memory, communication, pace and teamwork as the contestants are split into two teams. However, as always, there's a twist. The losing team from the latest challenge now face off over three rounds. By the end of round three, one of the 10 contestants will be eliminated from the competition. A mystery box challenge quickly becomes a nightmare for some; while an invention test goes like a dream for others. The contestant playing for immunity must cook off against Benjamin Cooper from leading restaurant, Chin Chin, even with a 15-minute head start, have they got what it takes to out-cook a professional? The contestants are tasked to create a four-course dessert menu, with each team needing to prepare 10 serves of each dessert to the judges. Which team will go head to head in the elimination? The contestants from the losing team compete in a blind taste test. They must taste a mystery dish while blindfolded then recreate the dish. The worst dish will be hanging up the apron forever. The contestants enter the kitchen for another Mystery Box challenge, but there's a twist...The top three dishes will compete for immunity while the bottom three will face elimination. 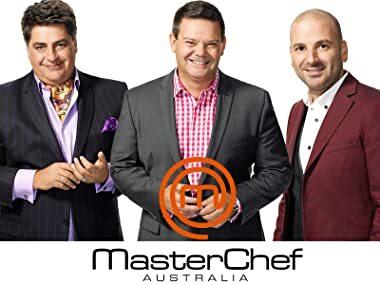 In an intense pressure test, the three contestants must recreate a dish made by the co-head chefs from leading Melbourne restaurant Saint Crispin. Who will be safe from elimination? With immunity up for grabs the three contestants battle it out with cheese. Who will get the chance to cook for immunity and go up against celebrated chef Matt Stone? The contestants arrive at Melbourne's Queen Victoria Market and are tasked to work in teams at four different stalls. The team with the lowest profit will face off in the elimination challenge. The losing team from the off-site challenge will compete in a time-auction elimination challenge and one contestant's dream will be over. Also, we end with a sweet Masterclass that's all about dessert. In the invention test, each team has to produce one sweet and one savoury dish using chocolate, showing their versatility. The team that impresses the judges the most will win a chance at immunity. In a pressure test like no other, internationally acclaimed chef Nobu Matsuhisa sets a challenge for the losing team from the invention test in one of the toughest cooks yet. The three best performers in the invention test are vying for immunity. However, they must produce a dish using either a blow torch, a smoking gun or a cream whip dispenser. Love is in the air as the contestants arrive at Melbourne's prestigious Ascot House to celebrate a diamond jubilee wedding anniversary with no food. That's where the contestants come in. In a two-round elimination challenge the losing team from the off-site challenge go head-to-head to keep their place in the competition. Which amateur cook will say goodbye forever? The contestants are stunned to find the Godfather of modern cooking, Marco Pierre White, waiting for them. The winner of Marco's mystery box challenge gets to choose the core ingredient in the invention test. Marco Pierre White sets the pressure test challenge from his iconic cookbook, White Heat. Emotions run high when one contestant is sent packing forever. The contestant cooking for immunity must match skills with Donovan Cooke from the renowned Melbourne restaurant Atlantic. Have they got what it takes to take down a professional? The off-site challenge sees the contestants split into two teams to cook a three-course, British-inspired menu for 120 diners at Taxi Kitchen, in Melbourne's Federation Square. Each contestant has one hour to cook a risotto, but to impress they must take this popular dish to another level. The contestant with the least impressive dish will leave the kitchen. The contestants enter the MasterChef Australia kitchen to find two mystery boxes, but this week these two boxes will turn the competition on its head. In the Pressure Test Challenge, the contestants must work with chef and host of MasterChef India, Vikas Khanna. The least impressive dish will leave the competition. We are down to the Top Ten contestants; but this challenge will present the biggest shock in the competition so far. Only the most courageous will win. Guest chef Curtis Stone leads the service challenge at the Starlight Children's Foundation charity lunch. The contestants are split in two teams and must raise the most money for the charity. In an intense Mystery Box challenge, the winning team from the service challenge play off for the power apron, which will mean they control every challenge played out next week. It's power apron week and the contestant holding the apron will have a big advantage in the Mystery Box challenge and the Invention test. Which three contestants will face-off for elimination? In one of the most difficult pressure tests yet, the three contestants must battle it out to stay in the competition. However, the power apron plays a role yet again and one cook will say goodbye. In the immunity challenge the contestant with the power apron will compete for a chance at immunity. But will the power apron help the contestant get one over the professional chef? In the service challenge, the contestants are split into two teams to cook a banquet for 20 food producers. The power apron contestant gets to choose their team members for the challenge. With the same six items in each contestant's mystery box, they all must barter with each other to get a variety of ingredients. Which three contestants will battle it out for immunity? In the Pressure Test, the contestants must make four of Nick Palumbo's classic choc-top ice creams from scratch. The least impressive dish will leave the competition forever. The contestants vying for immunity must identify 12 cuts of a cow. The contestant that names all 12 correctly will go up against professional chef, John Lawson. Can they out-cook a professional? In an Asian cuisine challenge, the contestants, in four teams must cook an Asian dish for 200 hungry fans who have the power to decide on their favourite dishes. The two losing teams from the team challenge must replicate a signature dish by chef Dave Verhuel without a recipe. The least impressive dish will be eliminated from the competition. To the contestant's surprise, chef Heston Blumenthal will be heading up the challenges, starting with the first challenge and the Invention test. The contestants must cook one of Heston's dishes: beetroot risotto. With no recipe, they must keep up with Heston as he cooks the dish in front of them, but they must finish cooking at the same time. In the off-site challenge, Heston sets the task for the five contestants cooking. They must pimp the menu of a local Melbourne pub and run the service for 120 customers, with Heston at the helm. The contestants must make a dish inspired by the five senses. Each cook has to include taste and the remaining senses are allocated between the contestants to include in their dish. The contestants open their mystery boxes and find ingredients chosen by their loved ones. They now have 45 minutes to cook something spectacular using those ingredients. In an emotional invention test, the remaining five contestants are surprised to learn that there are no rules or restraints: they can cook whatever they choose with full access to the pantry. With one contestant already through to the semi-final, the remaining three contestants compete in a service challenge at the three-hatted Vue de Monde restaurant in Melbourne.